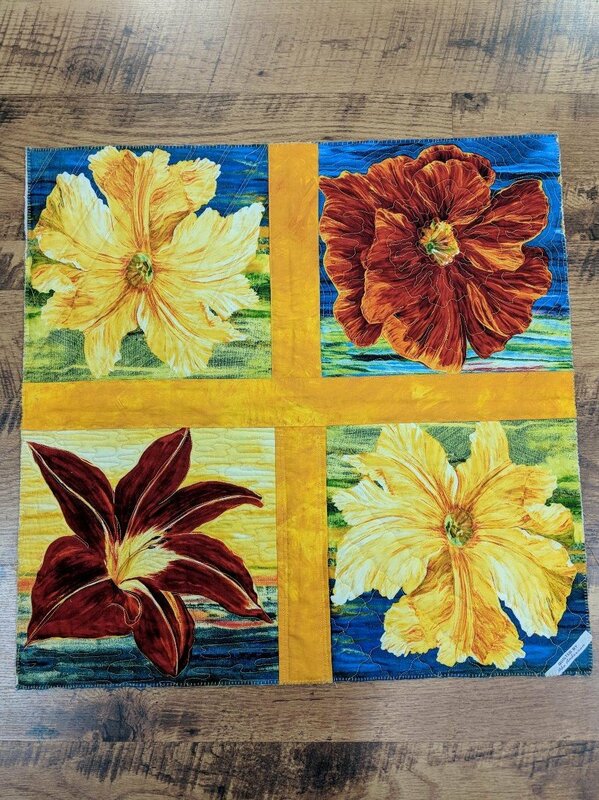 at least 4 panel blocks ( or similar) 10" squares or larger with batting and backing, 1/2 yd sashing fabric to join blocks. Basic sewing supplies, sewing machine, walking foot with guide and freemotion foot , safety pins, marking pencil, small scissors. Thread to match project. Surface extender recommended and machingers gloves recommended.